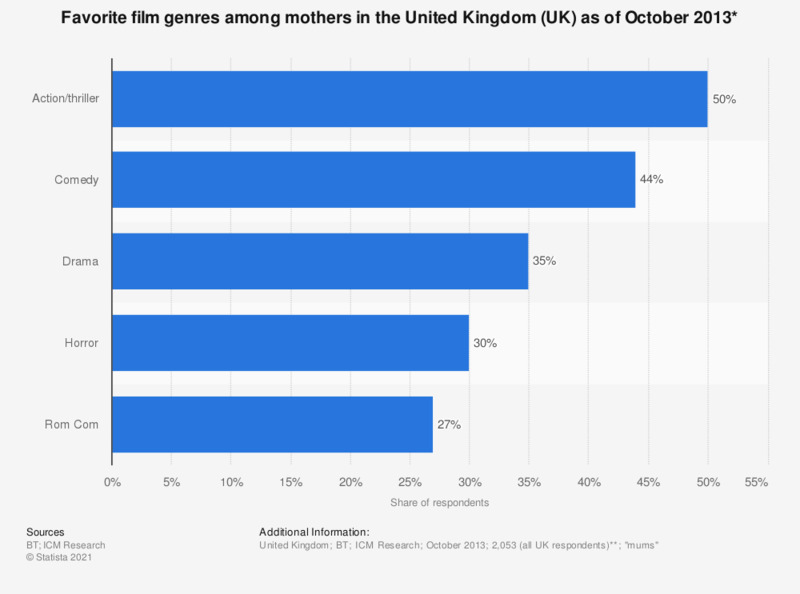 This statistic displays the most popular film genres among mothers in the United Kingdom (UK) as of October 2013. Of mothers, 44 percent chose the comedy genre. * The source did not specify the original survey question. ** The source did not indicate the type of survey used. The source did not indicate the age of respondents, but indicated they were "adult." The source did not provide the specific number of "mum" respondents. Statistics on "Mothers in the U.S."
What kinds of movies do you watch when you go to the movie theater?